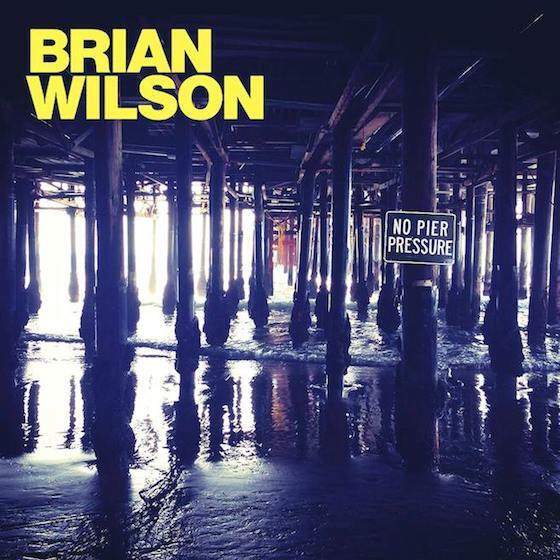 Since his creative re-emergence with the Wondermints in 1999, Brian Wilson has been a steady presence both in the studio and on the road, producing (or in the case of Smile, releasing) his best work since his Beach Boys days. His young collaborators have helped shepherd the fragile songwriter's visions to fruition without losing Wilson's unique voice in a sea of contemporary production and songwriting tropes. No Pier Pressure throws out that decade and a half worth of good will by doing the exact opposite, stacking the record with guest stars like Nate Ruess and Kacey Musgraves and "updating" Wilson's compositions with heaps of undercooked stylistic diversions. "Runaway Dancer" is the chief culprit, a cheap piece of MOR dance-pop filled out by stabbing synths courtesy of Capital Cities' Sebu Simonian. But it's not alone. Wilson has arguably never been "cool" and the exotica-lite "On the Island," featuring indie darlings She & Him, makes even Starbucks too hip a joint to carry this album. Assists from sometimes Beach Boys Al Jardine, David Marks and Blondie Chaplin work better, but can't save a sinking ship weighed down by a cappella star Peter Hollens' heavily auto-tuned vocals.